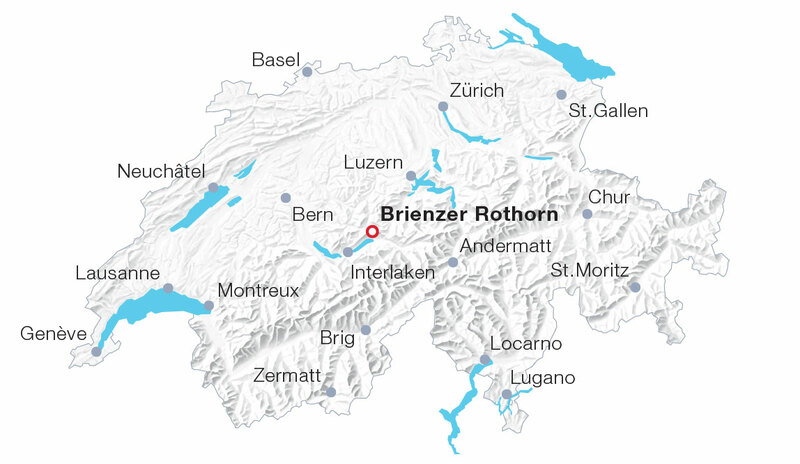 Ever since 1892, the Brienz Rothorn Railway in Brienz in the Bernese Oberland has been stomping, huffing and puffing towards the Brienzer Rothorn. In roughly one hour, the small steam locomotives push the merry red panorama coaches from Lake Brienz up to the Brienzer Rothorn. Additionally, an aerial cableway makes its way to the Rothorn from the UNESCO biosphere Entlebuch (Sörenberg). Unlike the steam railway, this line also operates during winter. Whichever way visitors choose to travel up: the panoramic view from the 2,350-metre summit remains positively impressive. The view over the Bernese Alps, Lake Brienz and the Grimsel area is magnificent – as is the view of Pilatus and Hogant. Summit restaurants and the Mountain Lodge Rothorn Kulm with newly refurbished rooms guarantee a memorable stay with spectacular sunsets and sunrises. The steam railway operates daily from June to October. Holders of the Swiss Travel Pass (Flex) and GA travelcard get a 50% discount.